5 sneak-peek scenes from Iron Man 2! Joss Whedon to direct The Avengers: Confirmed! This would have been an AWESOME NES game! Unfortunately, it's not a game, but a flash video reinterpretation of what a Dr. Horrible game might look like (someone should start making one!!). 8-bit NPH, Nathan Fillion, and Felicia Day? Yes please! Video is below. 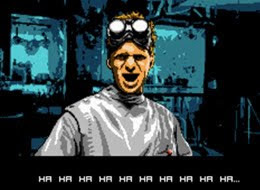 All music, sound effects, graphics and animation for "Dr. Horrible's Sing-along Game" were created by me as a tribute to Dr. Horrible (by Joss Whedon) and the NES.